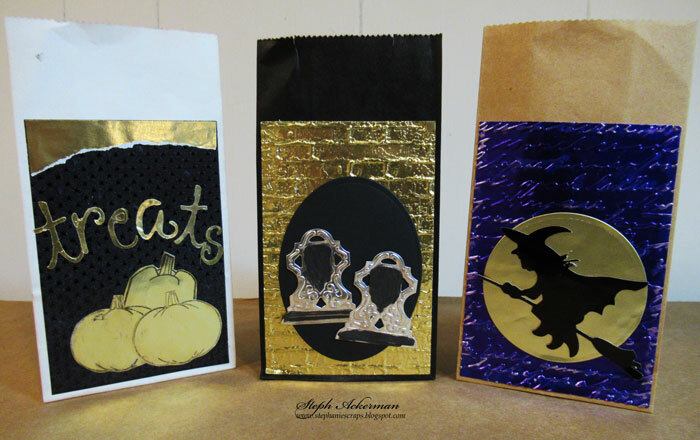 Hi everyone, Halloween is almost here and I've created some sweet treat bags for Halloween using Rinea Foils. 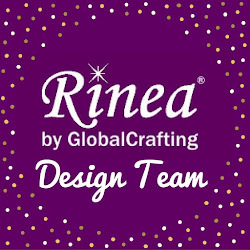 Have you checked out the Rinea store lately? Rinea has come out with some new colors of foils (and some other exciting products). 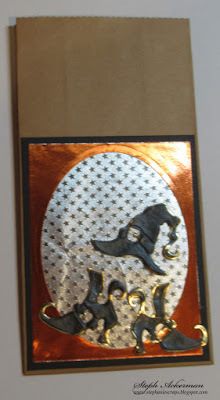 I've used the some of the original foiled papers as well as the newest Haunted Foiled Paper Variety Pack. This variety pack has 12 sheets of foil, 2 of each color in lovely colors such as Marigold, Ebony and Emerald. 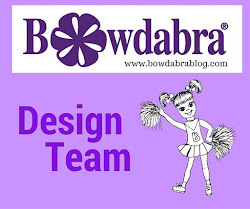 I've used a variety of techniques on the paper foils - stamping, dry embossing, die cutting with Spellbinders dies, Sizzix dies and Cricut Expression, and even paint. 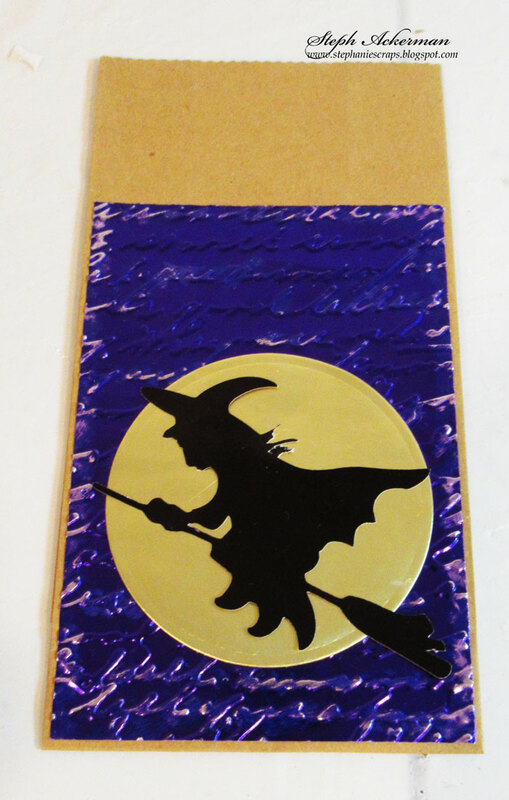 For the witch treat bag, I used the Violet/Gold Glossy Foiled Paper for the background, embossing it with a Cuttlebug Embossing Folder. 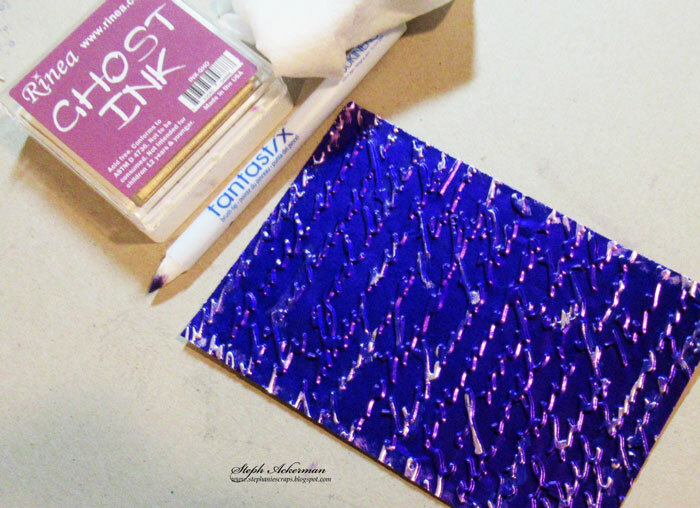 Using a Fantastix Coloring Tool with Rinea Ghost Ink, I rubbed the Fantastix Tool over some of the embossed portions to remove some of the foil color. I die cut a circle from Gold/Gold Glossy Foiled Paper. 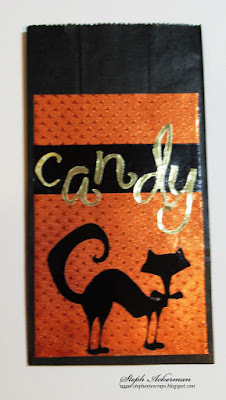 The witch and the cat (which I used on another treat bag) were die cut from Glossy Ebony-Black/Gold using my Cricut Expression and then added to the treat bag. 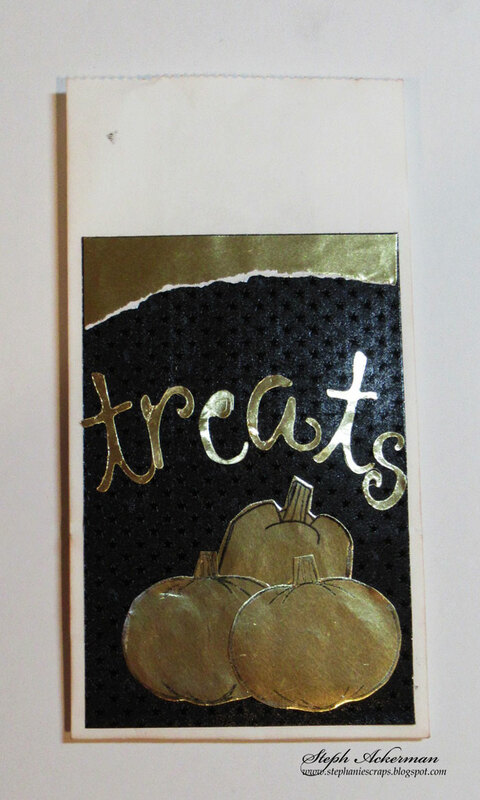 For the boo treat bag, I used Glossy Ebony-Black/Gold for the base. 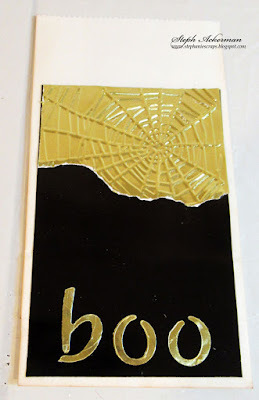 Using scraps of Gold/Gold Glossy Foiled Paper, I embossed it with a spider web embossing folder then tore the edges before adhering it to the base. Finally, I added some die cut letters using Sizzix dies. For the candy cat treat bags, I used Star Struck Marigold Orange Foiled Paper for the background. 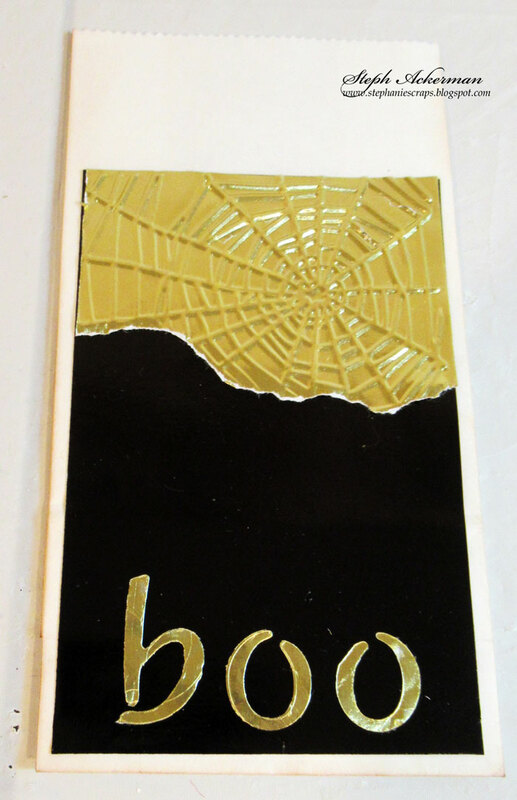 I added a strip of Glossy Ebony-Black/Gold across the top then die cut letters using Sizzix dies from Gold/Gold Glossy Foiled Paper. The cat was die cut using my Cricut. The witches shoes and hat were die cut from Gold/Gold Glossy Foiled Paper. I realized I should have used Ebony Foiled Paper, but rather than throwing away the die cuts, I decided to paint them with black paint while still in the dies. The paint took to the foil and within a short while they were dry and ready to use. 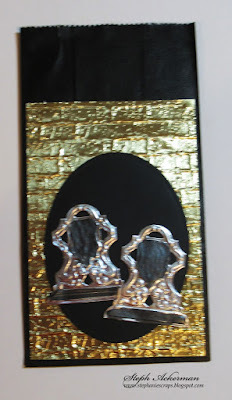 The background was created by die cutting an oval from Glossy Marigold-Orange/Gold Foiled Paper. 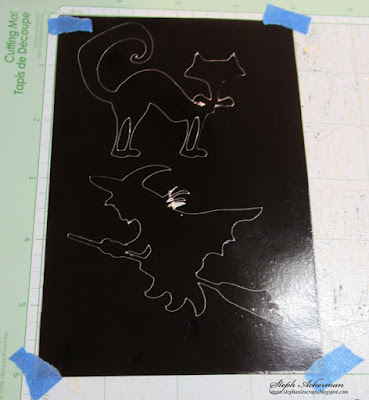 Then I placed the die cut panel over Silver/Silver Star Struck Foiled Paper. The painted hat and shoes were added on top. 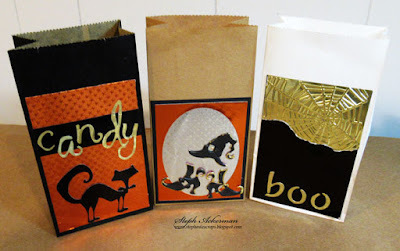 The pumpkin treats gift bag uses Star Struck Ebony Black as the background. 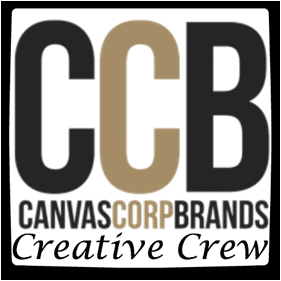 A left over piece of Gold/Gold Glossy Foiled Paper was torn and adhered to the background. 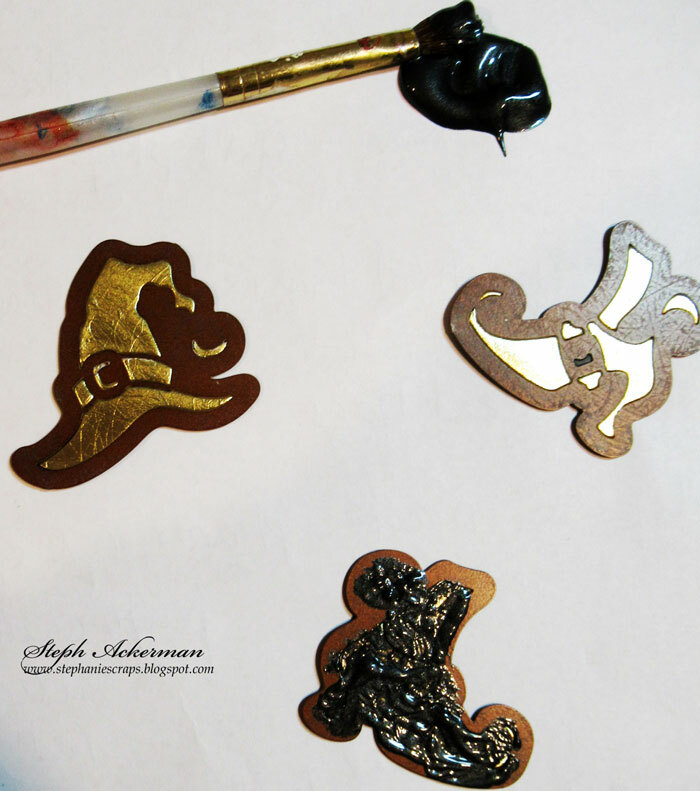 The letters were die cut from Gold/Gold Glossy Foiled Paper using Sizzix dies. 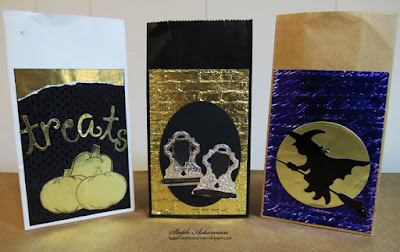 3 pumpkins from Joy Clair stamps were also stamped on Gold/Gold Glossy Foiled Paper, then fussy cut and added to the treat bags. 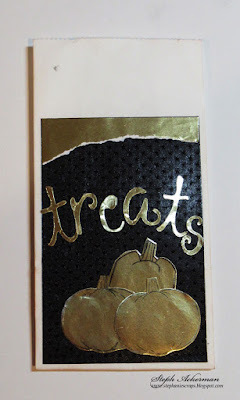 Lastly, I embossed Gold/Gold Glossy Foiled Paper with a Sizzix Embossing Folder and placed it on the treat bag. 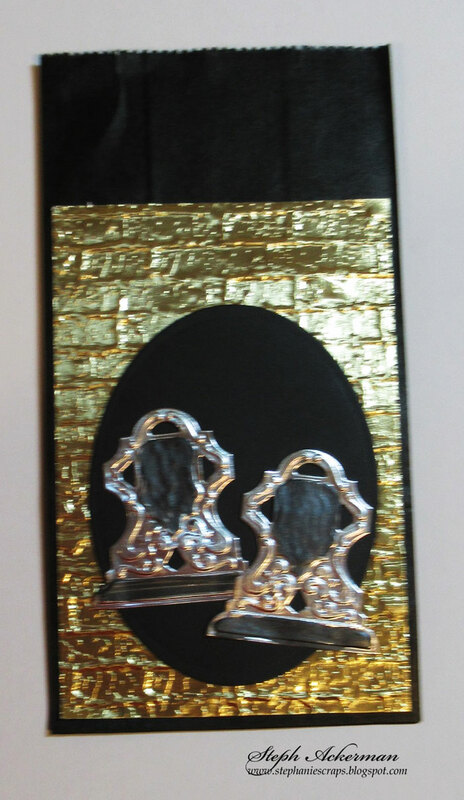 A large oval was placed on top and tombstones were die cut from Silver/Silver Glossy Foiled Paper. Portions of the tombstones were also painted with black paint. These treat bags are now all ready for the candy frenzy that is to come!